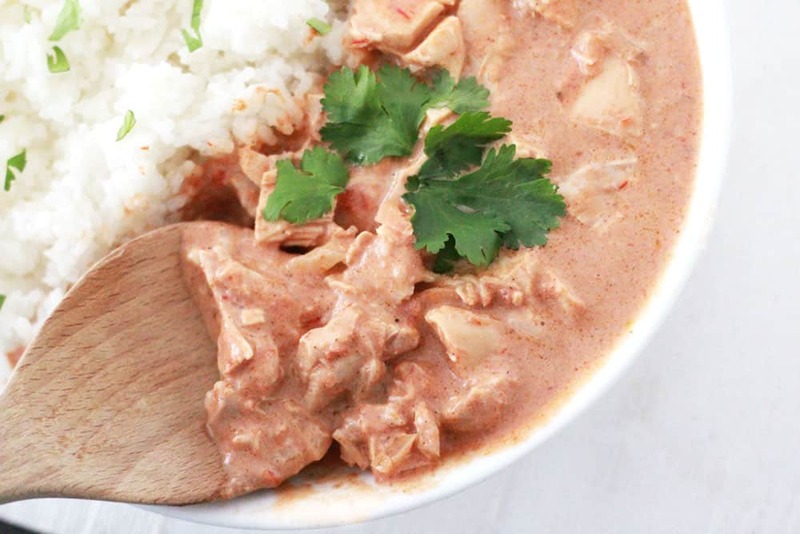 This creamy slow cooker Chicken Tikka Masala is my new favorite dinner. I think you’ll love it too! Do you like Indian food? I LOVE IT and crave it often. 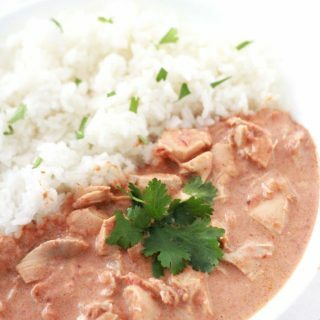 A few years ago I found out that my favorite dish, Chicken Tikka Masala could easily be made at home in the slow cooker. That blew my mind because I guess I assumed that something so rich and tasty would not be simple. But it actually is VERY easy. Once you get all of the spices and chicken into the slow cooker (there are many spices that go into it) you pretty much just let it simmer in there all day! 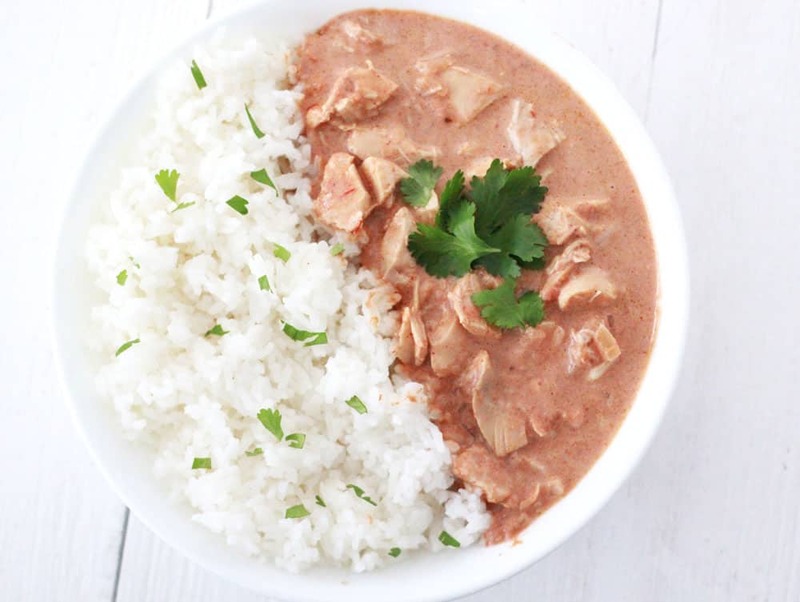 I’ve tried a lot of recipes for making Chicken Tikka Masala in a crockpot and I have to say that while they have all been good, many of them aren’t creamy enough, and are too tomato-y. This recipe has a taste and texture just like what they serve at my favorite Indian restaurant, and I declare it a winner of a recipe. I like to serve Chicken Tikka Masala with basmati rice if I have it, but sometimes I use regular white rice – whatever is on hand. I also buy Naan at the grocery store rather than make it. However you serve this, it will be one of your go-to Indian chicken recipes after you try it. It’s SO good. 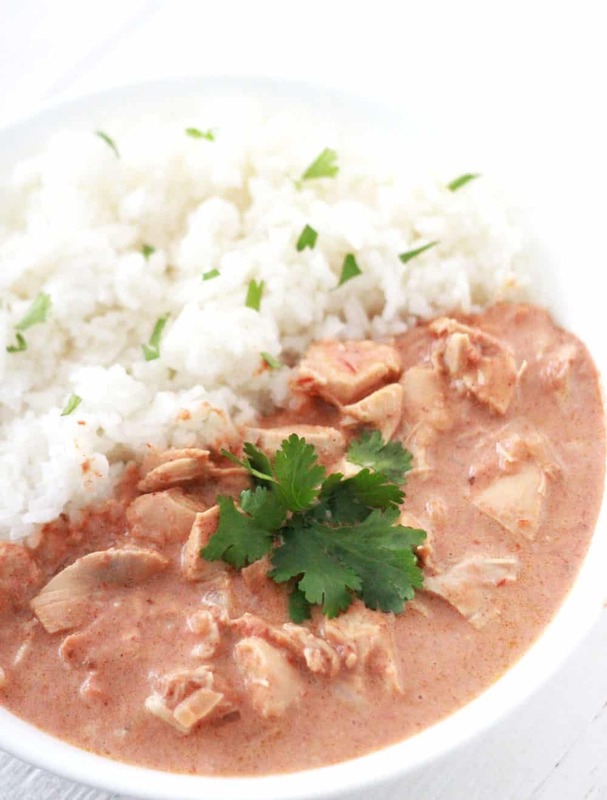 This creamy slow cooker Chicken Tikka Masala is easy and so good! 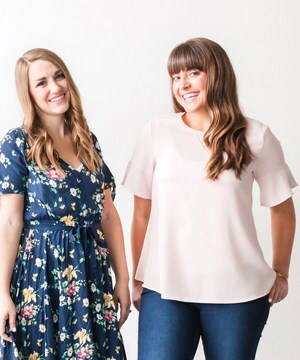 You'll want to add it to your dinner rotation! 1 tsp cayenne pepper give or take some depending on how spicy you like your food! Add onion, garlic, tomato puree, yogurt, olive oil, tikka paste, cumin, paprika, salt, cinnamon, pepper and cayenne to slow cooker and mix well. Add chicken thighs and toss to coat. During the last 20 minutes, stir in half and half. Cover and finish cooking. Serve over cooked basmati rice, or white rice, and garnish with cilantro! If you don’t have tikka paste, you can substitute 2 Tbsp Garam Masala for 2 Tbsp Tikka paste. I’ve tried it both ways and both give off delicious flavor! or browse all of our chicken recipes HERE! THIS RECIPE WAS REALLY SO GOOD! I HIGHLY RECOMMEND IT! THANKS! i love chicken tikki masala and the fact you slow cooked it just made me love this even more! Who knew yiu could make thid in a slow cooker – dinner just got easier!